Dichanthelium acuminatum var. implicatum.spring inflorescence.erick.dronnet.pagesperso-orange.fr (Accessed 3/2016). 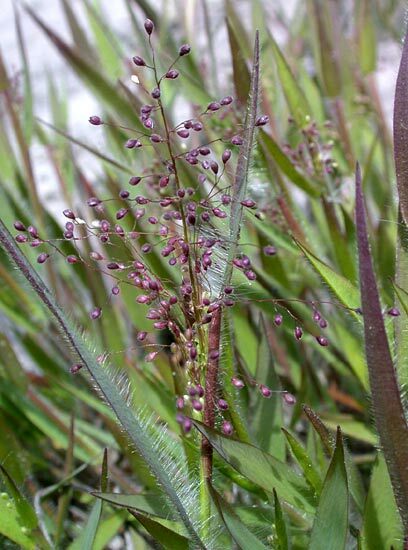 Dichanthelium acuminatum var. fasciculatum is a perennial, C3 grass (Basinger 2002), tufted, reclining, plant hairy, often gray-green, stems 40-70 cm long, branching above base, sheaths hairy, ligule a band of protruding hairs 0.2-0.5 cm. 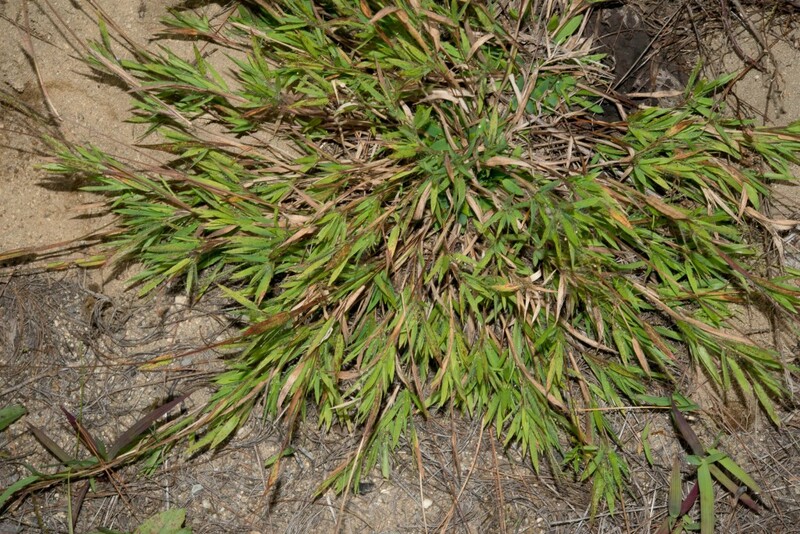 autumnal phase plant spreading to prostrate, densely branched mostly from middle nodes, leaf blades half as long as spring phase leaves. Leaves alternate, to 12 cm long 1.2 cm cm wide, hairy above. Flower spikelets about 0.2 cm, short hairy, secondary panicles many, tucked into leaves, primary panicle May-Sept., ovoid, branches spreading, axis short-hairy, autumn phase June-Nov.
Dichanthelium acuminatum.habit winter rosette.Thomas H. Kent.Amos Kendall Conservation Land, Dunstable, MA.florafinder.com (Accessed 3/2016). Frequency in NYC: Infrequent (supposedly widespread but not listed for NYS). Habitat: Dry soil, in open woods, or open sandy soil, or fill.